For many years like many..
My mom and I had dreamed of a family business. We spoke of finding something we were passionate about and then giving back somehow thru what we did. But in 2012 the devastating news that my mother would never walk again struck our home like a whirlwind. My mother – someone who was active, vibrant, full of life and an incredible salsa dancer confined to a wheelchair due to an injury, was a reality that we could not fathom nor except and we didn’t. What was meant for bad God turned into good...tragedy turned to triumph and triumph gave birth to an incredible Baker and cake decorator. Today my mother Grisel Borgos is healed and her passion for life is demonstrated in her work. With our combined passion for teaching and event planning combined with my mom‘s incredible talent to create almost anything out of sugar...we are here...on this page... sharing our story with you. 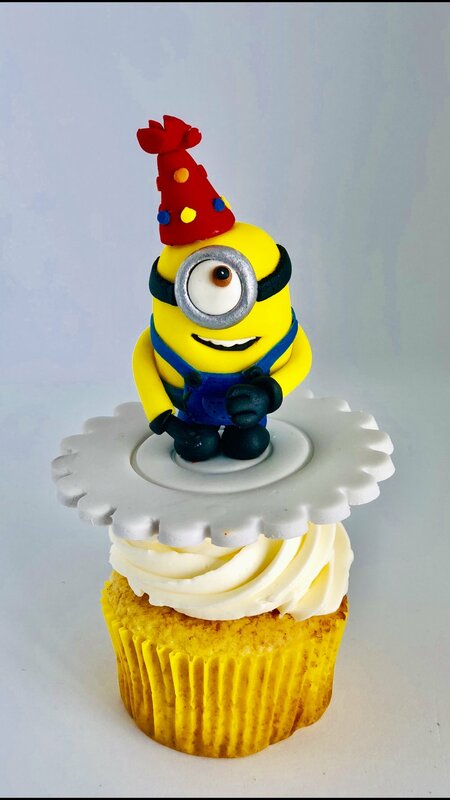 We look forward to bringing lots of fun, hope thru our story, great memories and joy to you and your family while we bring you on the incredible journey of cake decorating. Construct A Cake accepts Pay Pal ONLY for now. Student may reserve a seat for a class by registering online. Full payment is required at time of class registration to ensure your seat. We recommend that you reserve your spot as soon as possible since seating is limited to 5-6 students plus a parent/adult per class. Please register and reserve your seat now. We have a waiting list and you may request your name to be added to the waiting list in the event of a cancellation. Classes are scheduled to start on time so please arrive early. Construct A Cake has a 3 student minimum to run the class. In the event that we do not have enough participants in a class, Construct A Cake will notify you 24 hours before to reschedule the class. Student may choose to receive a refund via Pay Pal or use credit for future class. We will update our website in case of such cases. We will contact you at the phone number or email address you provided at time of registration. If you need further information, you can contact us at 954-892-4159. A full refund will be issued if student cancels class 7 days prior to the class date. Construct A cake can cancel a class due to insufficient student enrollment and student can receive full refund. No cancellation or transfers will be allowed within the seven days (7) of class. Paid fees guarantee a seat in class and since we have to buy all our materials in advance class fees are non refundable due to a “NO SHOW” on the day of class. If you have made a reservation for a birthday party, private party, a private group class or party, we want you to consider that Construct A Cake has reserved this time just for you. Construct A cake will refund 50% of the fees when a cancellation is made 30 days or more prior to the event date. If you need to change the date of your scheduled event, you must notify us 2 weeks prior to the event date. Construct A Cake cannot guarantee availability for your future date. If your date is unavailable we will issue a 50% refund. Fees are NOT refundable under 30 days notice. No exceptions! But you will be able to reschedule your event. It is prohibited for the student to video tape the class while in session. Construct A Cake may take photos/video during classes for marketing and promotion to be posted on our website, Facebook or Instagram page etc. Any person who does not wish to be video taped or photographed or wish to have her/his child photographed or videotaped is asked to let us know during the registration process so that you may sign a waiver at time of class. Thank you! See you at your party! Plan a unique fun birthday party for your child! At Construct A Cake each child will decorate their own 4 cupcakes that have been pre- baked with the design chosen by the parent or child. Some designs are intricate and challenging, but with the help of our experienced instructor and our step-by-step teaching method, your guests will create a work of art they’ll love! 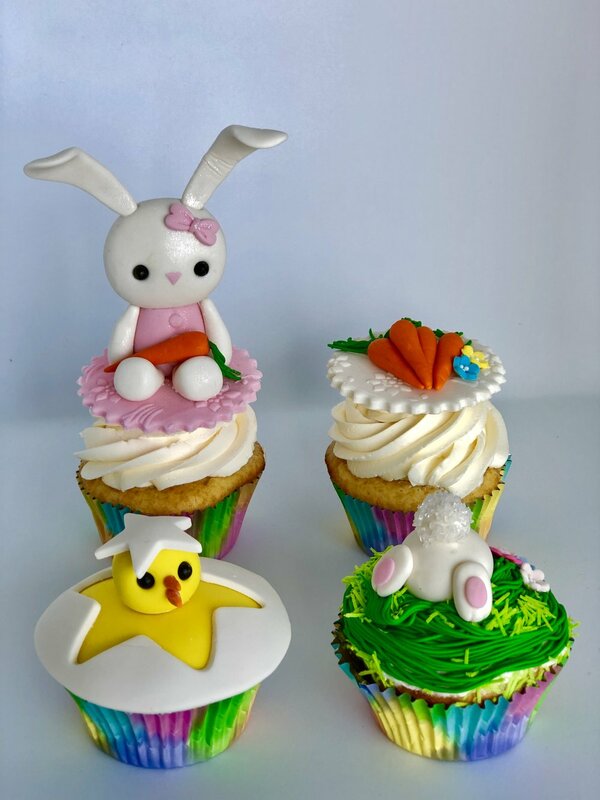 Each child will take home their very own cupcakes-in-a-box. Children under the age of 7 must be accompanied by a parent. We love to have you assist your child in the task we are performing. Children 8 and older parents presence is optional but welcome. Parent can drop off their child and pick them up in the time manner required. Materials to decorate 4 cupcakes plus a box to take the decorated cupcakes home. If you would like to reserve your child’s birthday party in advance. Upon reservation, we require a $150 nonrefundable deposit. The outstanding balance is due seven (7) working days before the event. You can also reschedule the party up to 30 days before. Cancellation or rescheduling less than 30 days prior to the event may result in deposit forfeiture and/or an additional charge to cover expenses incurred. We would also like to know how you heard about us! We will ask a few questions to get to know you better, as well as make sure we have every detail of your ideal party covered. Parties are not hosted by Hobby Lobby, as we are an independent company. Having a party at a venue or your home? Let us know we can also come to you. Please contact Construct A Cake for any information or questions. Here at Construct-A-Cake we have designs for all ages and levels of expertise. The guarantee is that you will have FUN! HOP YOUR WAY INTO THIS CLASS AND PREPARE FOR LOTS OF FUN. RECOMMENDED FOR AGES 8 AND UP. COME GET SILLY WITH US AS WE GO BANANAS WITH THESE APES. RECOMMENDED AGE GROUP 8 AND UP. HOP YOUR WAY INTO THIS CLASS AND PREPARE FOR LOTS OF FUN. RECOMMENDED FOR AGES 8 AND UP.. Welcome to our Edible Center Piece Page! These beautiful tarts can come in different shapes, letters and numbers. Customize your toppings from fruit and cheese to a little bit of everything. These delicious desserts are not only a taste of heaven but they also dress up any table for any occasion. Call us for custom orders and pricing.